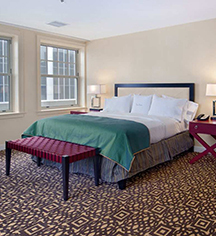 Each Executive Room presents guests with added space, and unparalleled views of the city. With one king or two queen beds, these exclusive accommodations offer guests the comforts of home while away, and enjoy a separate living area and bedroom space. 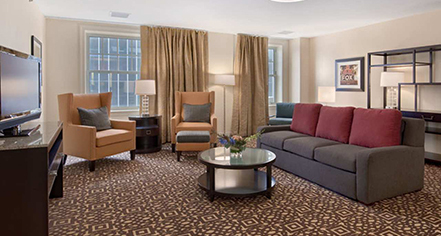 Guests staying in Executive Rooms have private access to the Executive Lounge where they can enjoy additional complimentary amenities.